What is Digital Citizenship & Internet Maturity? In the 21st century, Internet plays a big role in every aspect of your life. Internet is not just a technology service, but a virtual world visited by 3 billion people. It is made up of millions of websites offering content & applications on every possible topic. Digital Citizenship means your participation in the virtual world. Internet Maturity means your understanding of the PURPOSE of online services and displaying maturity in online activities. Internet Maturity helps you become a mature digital citizen. 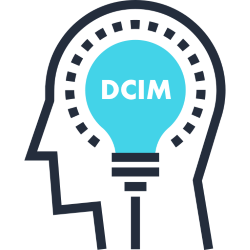 DCIM helps you to make the best use of Internet for success in life. It is a set of 10 important skills as explained below. You must understand how the Internet of the 21st century is different from that of 1990s, and what those differences mean for you. You must know how to create documents, presentations, images, videos and other types of digital content. Also you must understand the proper way of sharing content online. It's basic digital literacy! Social networks like Facebook, WhatsApp etc are now an important part of your social life. You must learn the mature way of presenting & behaving yourself on social networks. Professional networks like Linkedin can provide you the best of career opportunities. But you must learn the mature way of presenting & behaving yourself on professional networks. Online forums have emerged as a powerful knowledge sharing tool. It is used heavily in corporate organizations and professional circles. You must learn the art of online group discussion. You must learn how to express your ideas, knowledge & creativity through blogs. You must develop smart blogging skills to make your blog articles effective. You must learn how to find USEFUL knowledge on Internet without getting distracted by online junk. Smart searching skills are absolutely essential for everyone in the 21st century. 'Open Courseware' and 'Massive Open Online Courses' are a revolution in the education world. You must learn how to make the best use of MOOCs for your success in life. The virtual world of Internet is full of threats and dangers. Some dangers come to you from outside and some are created by the weakness of your own mind. It is absolutely essential that you learn to protect yourself online. Your online reputation can make or break your life! Internet is the world's biggest stage where everyone is watching & recording your actions. Learn to create a positive online reputation for a successful life.